WBS has built a portfolio of distinctive and timely products, backed by the nation’s leading companies for security, health, and financial well being, providing great value to our clients. American International Group, Inc., also known as AIG, is an American multinational insurance corporation with more than 88 million customers in 130 countries. AIG companies employ over 64,000 people in 90 countries. The company operates through three businesses: AIG Property Casualty, AIG Life and Retirement and United Guaranty Corporation (UGC). AIG Property Casualty provides insurance products for commercial, institutional and individual customers. AIG Life and Retirement provides life insurance and retirement services in the United States. UGC focuses on mortgage guaranty insurance and mortgage insurance. 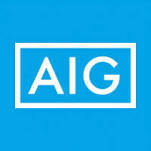 AIG also focuses on global capital markets operations, direct investment and retained interests. Selman & Company was chosen as WBS’s National Third Party Administrator in 2009 to provide our clients with a turnkey option for our ID Theft Assist product line. For 25 years, Selman & Company has marketed and administered life & health products to employers, associations, financial institutions and other affinity groups. Their strength, leadership, and efficiency as an administrator with national reach has been widely recognized in the industry and played a key role in their selection. Selman & Company has always been committed to delivering a full range of products through a resourceful and effective distribution system to employers, associations, affinity organizations and financial institutions. Their strong background and impressive history of building their business to meet and exceed the expectations of a growing customer base make them proud of their past successes and confident of continued prosperity and vision for the future.